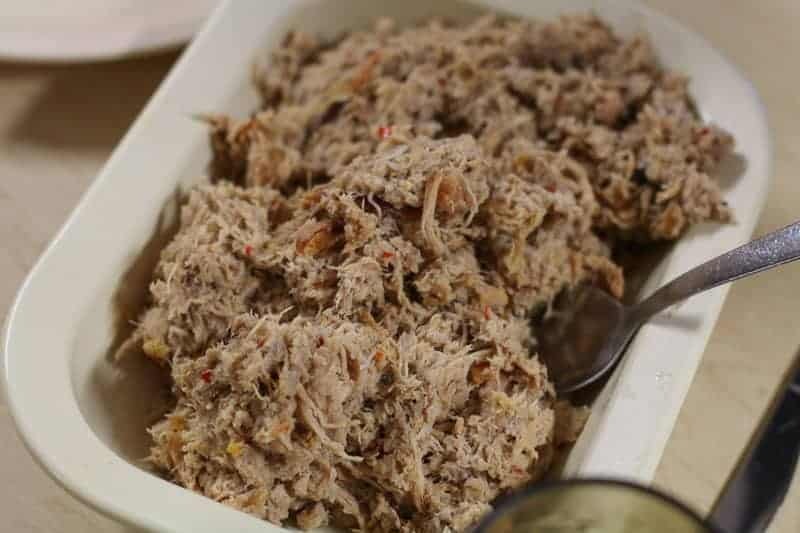 Since 1946, Parker’s BBQ in Wilson, NC has been serving delicious Eastern style whole hog barbecue. 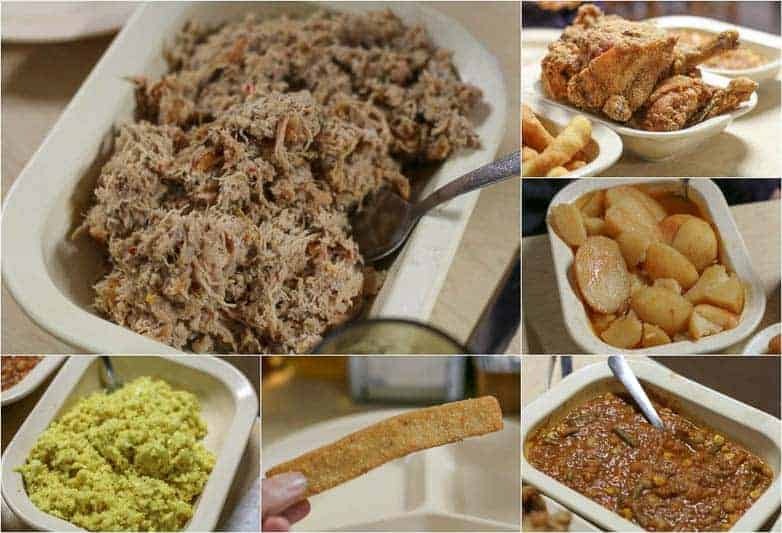 In addition to the delicious chopped vinegar seasoned barbecue, Parker’s BBQ is famous for their fried chicken, boiled potatoes, cole slaw, and Brunswick stew. I you read my Pik-N-Pig barbecue restaurant and B’s Barbecue Restaurant posts you know I love Southern style barbecue. I have a goal of visiting all of the best barbecue joints in the Carolinas and Parker’s BBQ has been on my list. My family and I drove two hours to have lunch at this old school barbecue joint. We were not dissappointed. We drove up to a gigantic parking lot that was completely FILLED!! As we entered this massive restaurant, we were greeted by friendly servers wearing spotless white shirts, and paper hats lined up at the door. They immediately seated us (they have a well oiled system in place for getting you seated and served promptly) and handed a menu. 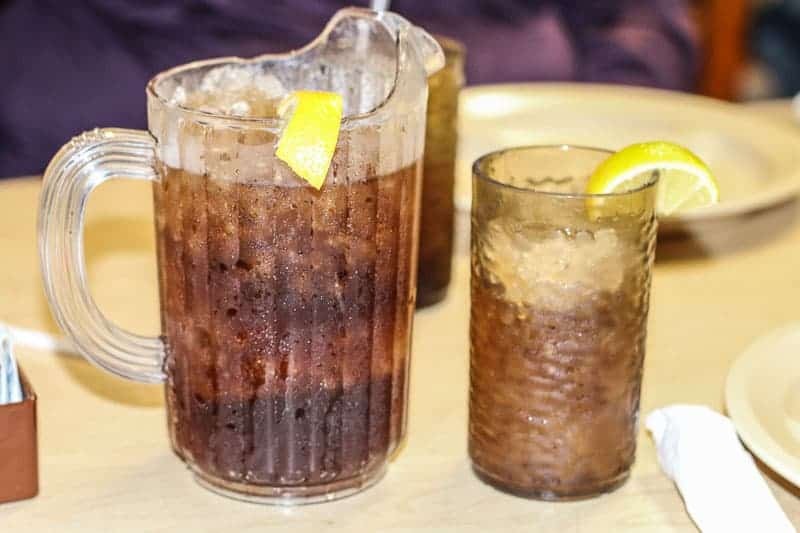 Before we could blink a large pitcher of perfectly sweet tea with pellet ice (we call this “the good ice” in our family) was placed on our table. 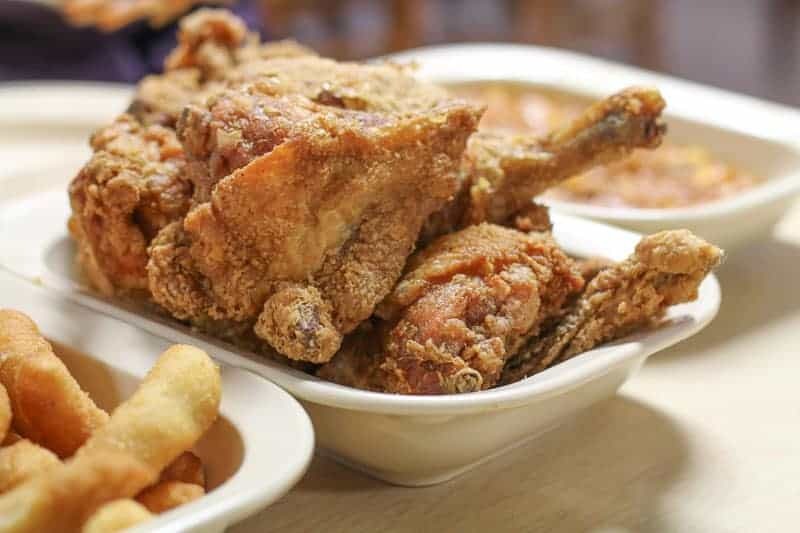 On Sundays, Parker’s BBQ offers a family style option, which our family did not hesitate to order. We wanted to sample some of their best items on the menu. Immediately following our order came dishes of food covering our entire table. We were literally in “hog heaven.” Parkers cooks whole hogs in gas cookers in a cinder block building behind their restaurant. 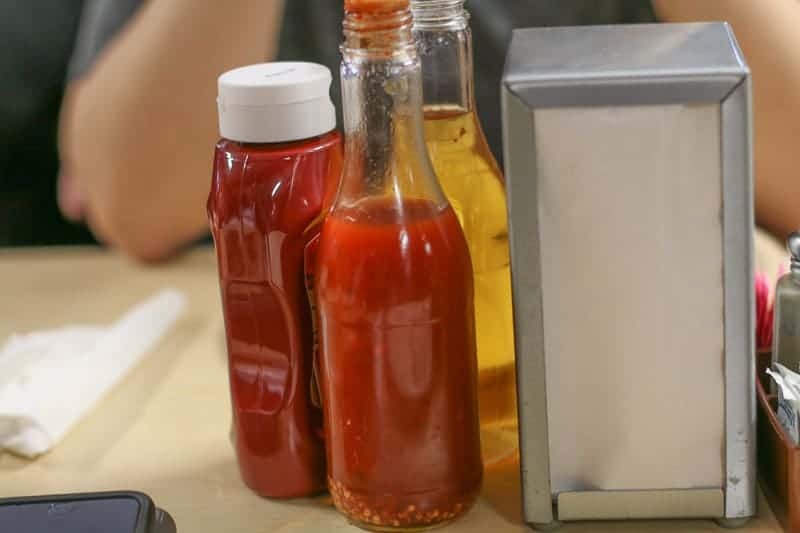 They chop up their barbecue and lightly season it in a pepper flaked vinegar sauce. You could eat the barbecue “as-is” or pour some extra of their homemade Eastern Carolina Barbecue Sauce. I love a good barbecue sauce, so I chose the latter. Along with the barbecue they gave us a big dish of perfectly fried fried chicken…… Any good Southern girl cannot pass on a good piece of fried chicken. I did not disappoint. The skin was perfectly crispy and the meat was moist. Good barbecue is always served with a side of slaw. 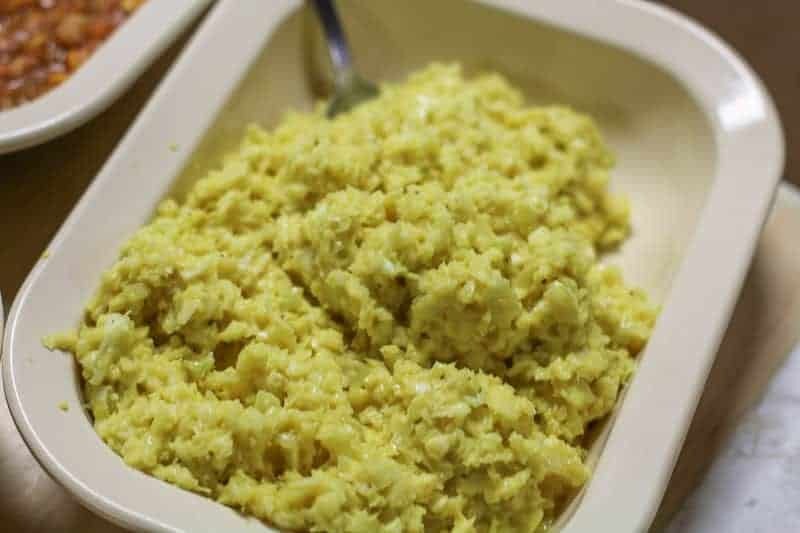 Their yellow, chopped slaw is slightly sweet with a tiny hint of mustard. At first sight, I will have to admit my family and I were hesitant, but we all ended up liking it. 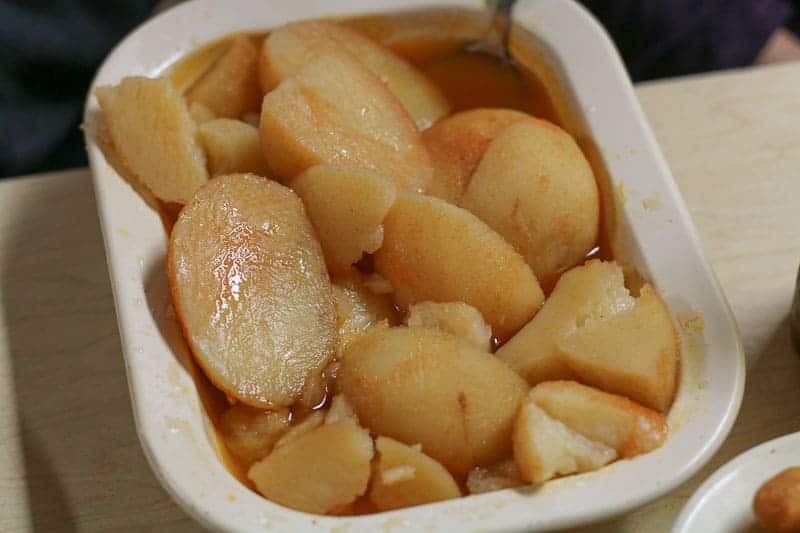 The South knows how to make the best boiled potatoes and Parker’s was no exception. Our table ordered several helpings of the boiled potatoes. 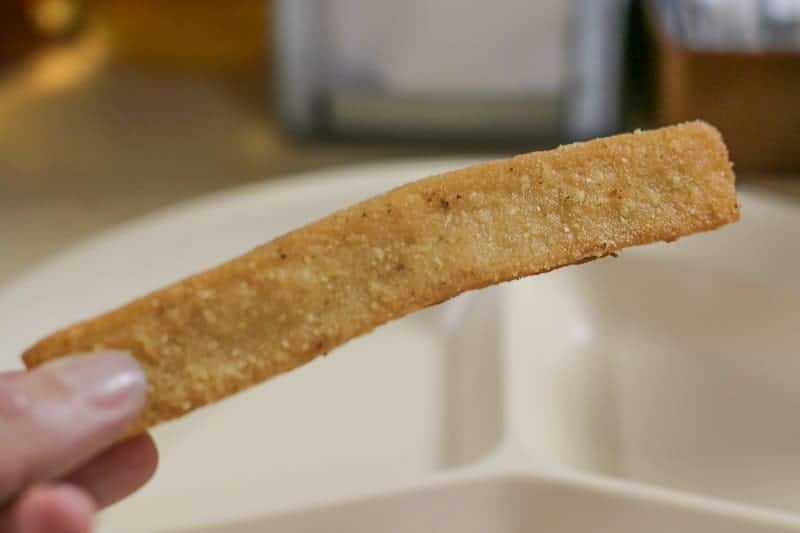 They were fork tender and delicious. With your meal comes a bowl of fresh, hot hush puppies and corn sticks. Hush puppies are very common where I live, but it is rare to come across old fashioned corn sticks. I love this little high carb indulgence! They were so tasty. Our table ate several of both. 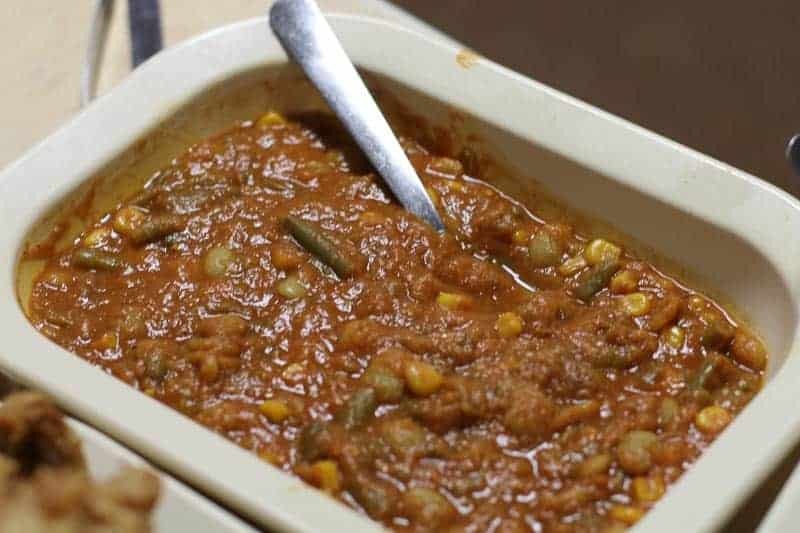 If all of that wasn’t enough, they also served us a big dish of Brunswick stew. Now, Brunswick stew just isn’t my thing. I know, I know, you are thinking, “How can this be?” I don’t know what my problem is. However, my family does like Brunswick stew and they loved it. In their opinion, it was fantastic. My only complaint is that Parker’s BBQ does not serve dessert. I would have loved to finish the meal with a big bowl of house made banana pudding…. For more reviews on Parker’s BBQ, check out Our State Magazine, and Marie Let’s Eat. Thanks for sharing Andy! We love the place. I wish I could go eat there now! It is a bit of a drive for us, but I guess we need to take another road trip again soon! Been going for over 45 years, still alive in my ’50s and still loving it. Just a hint, the Family Style treat is a daily thing. Used to require 4 people, now 2 can get it. Pretty economical also to feed two foodies. Yummm.